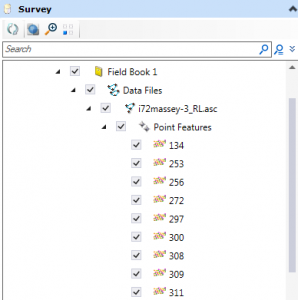 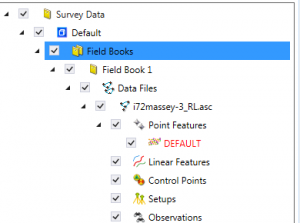 When implementing OpenRoads Designer Connect Edition for processing of survey, you will want to use any TIW files you created in SS4. 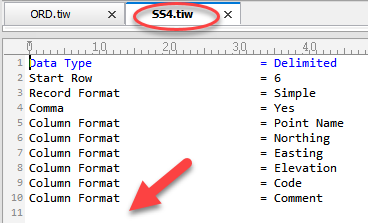 This is caused by a change in the code of the software when reading the TIW file. 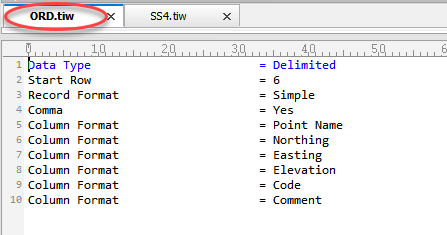 To make the TIW work in OpenRoads Designer, simply remove the extra line.